From the beginning, we’ve desired to be a church-planting church who gets to see the Gospel stretch out beyond just one church. Our mission is to bring glory to God through lives transformed by the Gospel of Jesus Christ. We do this through the multiplication of Gospel centred, spirit led, mission focused communities who make disciples who then multiply to form larger communities. We see this resulting in the ability to take these larger communities and start new endeavours through church planting. We are excited about church planting directly from our church as well as being able to partner with like minded churches in Canada, North America, and beyond to see the Gospel spread throughout the world. As partners of both the Acts 29 and C2C church planting networks, we work together to prayerfully and financially support other church planting efforts beyond just our own. 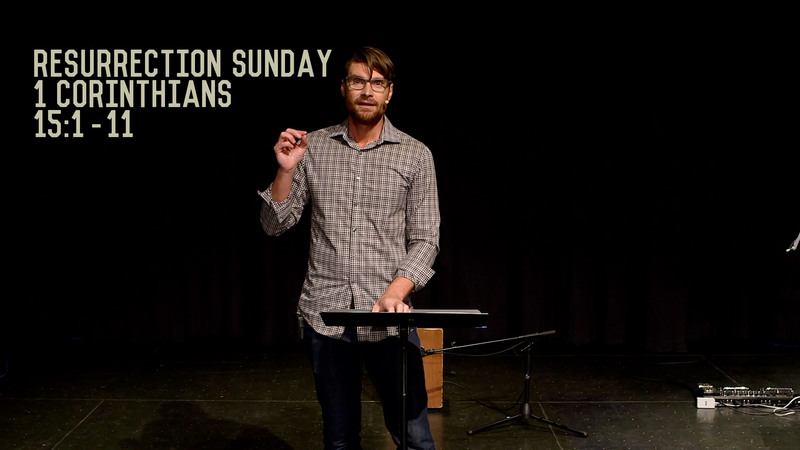 As our Gospel Communities continue to grow and reach into neighbourhoods throughout the Saskatoon area, we see the value in creating additional opportunities for those communities to gather together to sing, celebrate, and hear the word preached at a time and in a location that allows more people to hear the Gospel and join in the new life of salvation. Our first foray into this additional gathering experiment is our evening service in Warman which will begin in 2015. We believe that God has called and gifted everyone who bears the name “Christian” with strengths and abilities in order to impact the world around them with the truth of the Gospel. Additionally, for those who have been called to join in the front-lines of church multiplication and church planting, we want to make sure there is opportunity to become equipped and trained before running off into the battle unprepared. For those who are called to church planting, pastoring, leadership, or just your every day Gospel minister, we offer volunteer internships as well as training programs through the Porterbrook Network to equip and grow you in your ability to follow the call God has placed on your heart. There are many ways you can support us as a church planting church. Three of the ways that are most beneficial are that of prayer, provision financially, and partnering with us on the ground. We believe that prayer impacts our church and the mission more than we could imagine and your prayers are the first line of faithful support in achieving the goal we feel God has called us to. Likewise, financial support and assistance goes a long way to help ensure the human resources and infrastructure can be in place to reach more people with the message of the Gospel. Finally, there is always need for people to use the time and talents that God has given them for the sake of the Kingdom and furthering the message of the Gospel through local churches. If you’re looking for the next cool thing in town (We want to grow by conversion growth, not church-goer transfer growth). If you’re a Christian and you don’t like your current church (You will find reasons to not like this church). If you have a bad track record at churches of being unteachable and causing problems (You won’t change here, you’ll repeat the pattern). If you’re a consumer wanting to “go to church” 1x a week for a nice show (We are not a Sunday show, we are a community of disciples on a mission). If you have an agenda (We have our vision, our mission, and our values–your private agenda does not supercede them). If you’re a wolf (We will sniff you out). If you think this will be a nice little church that stays the same size, where everybody knows your name and you have my cell number on speed dial and we have a picnic lunch together every week (By God’s grace, we want to grow). If you think this will be easy and smooth (This will be hard and difficult; this will be a fight, a battle, a challenging mission). If you want to see Jesus do something new and you’re sick of the status quo. If you dream of being part of something bigger than yourself. If you want to get into a fight—enter a battle—for the kingdom of Christ. If you feel a constant itch to see people who don’t know Jesus come to know Jesus and you believe church planting is the best way for the gospel to advance. If you want to give your time, money, energy, and talents to starting something new and you want to make sacrifices in order for a mission to succeed. If you fully support the vision, mission, doctrine, and leadership of a church plant. If you want your faith to grow and you want God to fundamentally meddle with and change your life. If you want to love your city. If you want to watch God move in ways you never imagined—if you want an adventure (with all it’s discomfort and risk). If you’re not afraid to bank your life on Matthew 16:18 (“I [Jesus] will build my church and the gates of hell shall not prevail against it”).